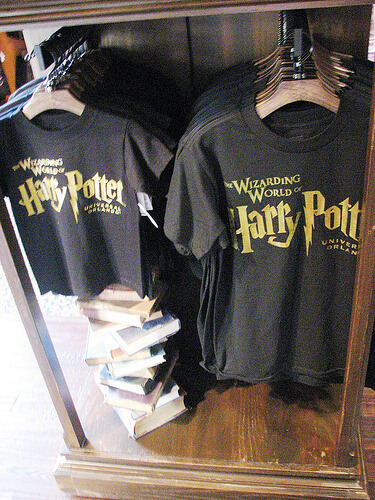 While previews of the Wizarding World of Harry Potter continue each morning at Universal Orlando’s Islands of Adventure theme park, all guests visiting the park now have a chance to purchase a selection of merchandise found throughout the Wizarding World. 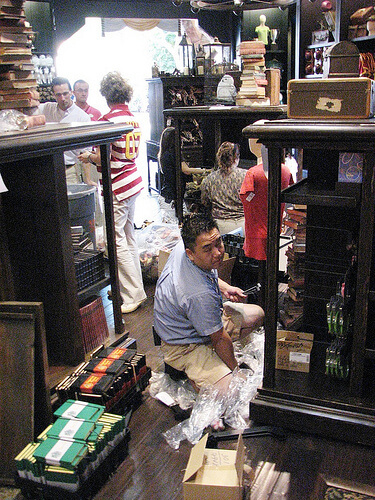 Today the park’s main gift shop, Trading Company, located near the entrance of Islands of Adventure, was being stocked with Wizarding World merchandise including character magic wands, t-shirts, plushes, and other items from shops within the park’s Hogsmeade Village. 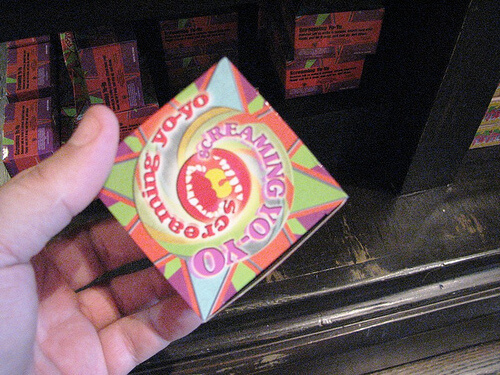 A smaller selection of goodies and treats from Zonko’s Joke Shop, Honeydukes, Dervish & Banges, and Filch’s Emporium and now be purchased even if you’re not able to enter the Wizarding World quite yet. Thanks again to Michael for the great photos! 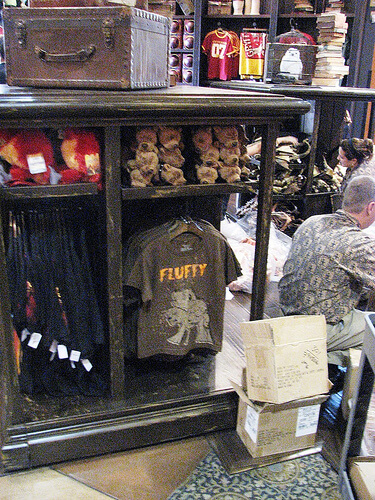 You can also buy many of the same items at Orlando International Airport. 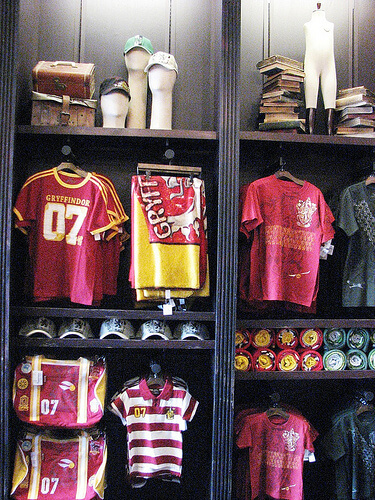 The Wizarding World of Harry Potter will hold its grand opening on June 18. 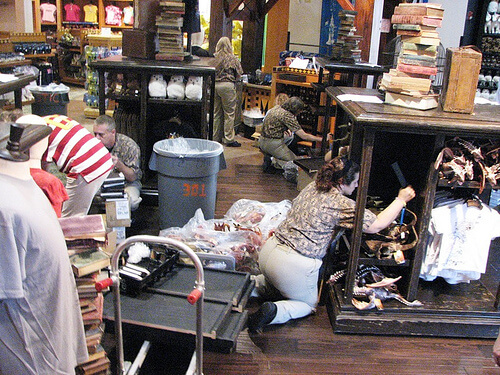 Thanks for the pics of the Islands of Adventures main gift shop and their Wizarding World section. Very intersting! It might be a good idea to stop and get stuff on the way out of the park, so we won’t have to carry stuff all day? Also, the “Spoiler-Free Review” was great! Looking forward to your one with “Spoilers” too, as it is 32 days before we get there. Thanks for the pics! The store told us they were supposed to start putting it out in March! I guess they were a little off on their timing, huh? Hey does anyone know if they have ALL of the noblecollection wands? 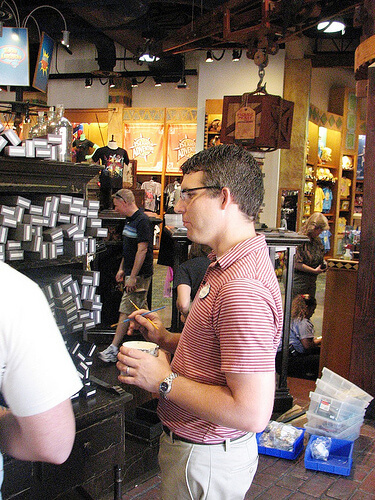 They have all the wands from Noble Collection, I hope they have more! 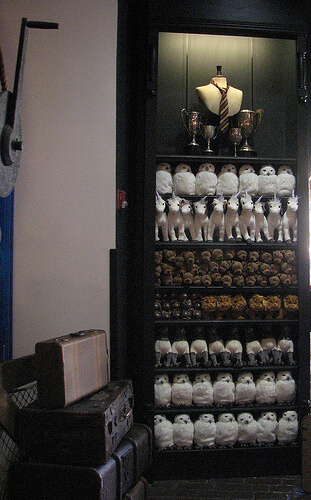 I want Ginny’s, Luna’s, and Dumbledore’s wands. Even better, having ALL the wands. 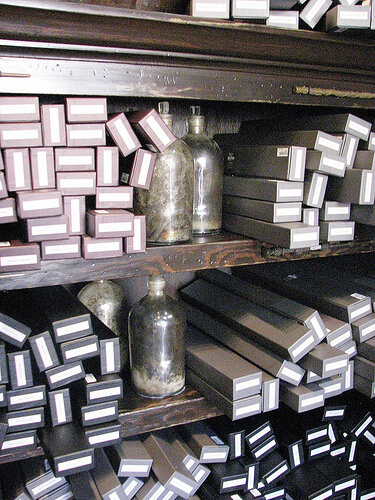 It’s entirely possible that new wands will show up… but in the meantime, they’re getting close to selling out! yeah i went last friday and they only had nevilles, harrys, hermiones, rons, voldy, ginnys, mcgonagals, and dumbledore, sirius, and lupin whch i got those three. Wow!! I just saw this post and LOL with my kid! 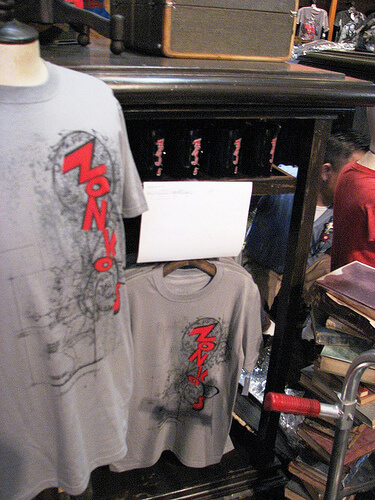 We were there on June 4 and bough lots of stuff from this same store!! I got wands at the Universal Studios Store, cause on this store they were out… I didn’t get to go inside the WWHP cause I was on a school trip, but at least we have a little bit of “Harry” with us!! Loved the post, thanks! Sooooo cool! cAN’T WAIT TILL MY FRIEND AND i GO! sooooooooooooooo MUCH FUN. 12 MORE DAYS!!!!!!!!!!!!!!!!!!!!!!!!!!! tHANKS 4 THE PICS!